Hello friends! It’s been a while, but no fear, you were not forgotten. I hope I haven’t been as well. I’ve been super busy working way too many hours, and EGADS!, dating, or I should say dating one person in particular. But more on that another day. As for food, the eating has never stopped. 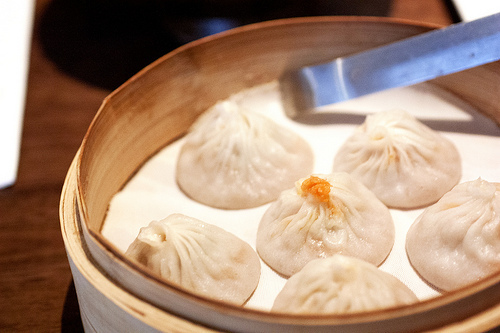 My new neighborhood favorite is The Bao on St. Marks, where they serve xiao long bao comparable to the ones in Flushing. 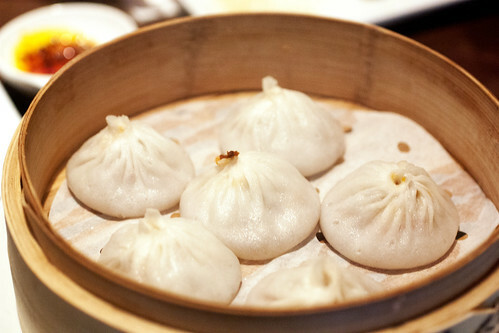 At The Bao, Steamed Crab Meat Pork Buns (pictured at top; $9.95) come steaming hot, thin-skinned, and full of soup. Super Spicy Steamed Buns ($8.95), my parents’ favorite, are also tasty and true to its namesake, spicy. The kind of spicy that makes you cough if you eat it too fast. Bites of cool Cucumber Garlic ($7.95) interspersed, even with a garlicky bite, help. 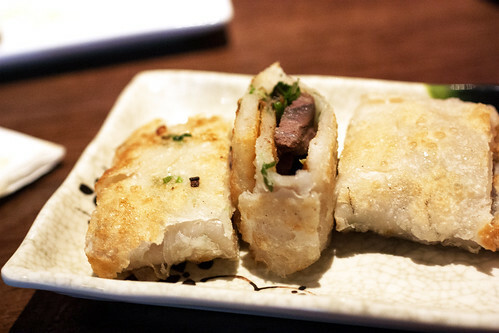 Similar to Nan Xiang, the Scallion Pancake with Sliced Beef ($7.95) at The Bao could be crunchier, but fried dough filled with meat and sweet sauce can’t be denied. 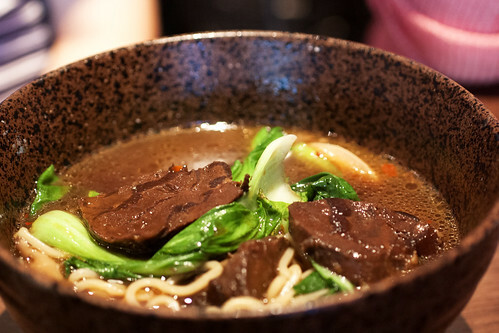 And for noodle soup-lovers, the Braised Beef Noodle Soup ($12.95) doesn’t disappoint with its dark, rich broth and bouncy noodles. I may be busy these days, but there’s always time for good eats. thanks for the lunch idea. i’m gonna go there next time! @Danny – Highly recommended bro!